Price is per 16-inch strand of these beautiful 8mm round beads. Jade is treasured in China as the imperial stone. 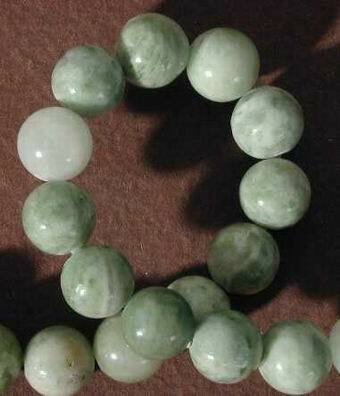 In two forms, jadeite the best for its more vivid green and translucency. Also in lavender, pink, and white. Nephrite is dark spinach greens, white, browns, and black. For thousands of years, jade has prevailed as a symbol of love, purity, and status.